Abraham Lincoln famously said in the 1860’s “Don’t believe everything you read on the internet.“, and he’s right of course. George Washington already warned us a century earlier that “the greatest thing about Facebook is that you can quote something and totally make up the source.” Add to it the filter bubbles that algorithms create around you on Facebook, fake news and the influencing that third parties try to do, and you can be certain that the trustworthiness of internet is now even worse than it was in the 19th or 18th century. “Don’t believe everything you read on the internet.”, Abraham Lincoln hit the nail on the head in 1864 already. Dealing with crap on the internet however sometimes seems something only for professionals. Facebook should filter better, or be more transparent. Online forensic research like Bellingcat does is the only way to disprove online deception. The problem is that it absolves you and me way too easily of our own responsibility in detecting crap. If something seems too funny, coincidental or too conveniently fitting into your own believe framework, it should trigger us into taking a step back. 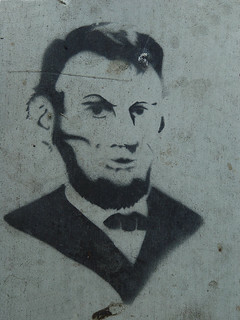 To take time to determine for ourselves whether Lincoln really said that, whether a picture was really taken where and when it is claimed, and if a source really exists or can be determined as trustworthy. To be able to detect crap on the internet, you need crap detection tools. My Brainstorms-friend Howard Rheingold and others have put together a useful list of crap detection tools (of which I very often use the reverse image search tools like Tineye, to verify the actual origin of a photo). The list is well maintained and growing. The listed tools help you quickly check-up on things before you share something and reinforce a vicious cycle making more and more social media platforms toxic. Not spreading dubious material is a civic duty, just like cleaning up after yourself in a public space. This makes crap detection a critical digital information skill. Download or bookmark the list of crap detection tools, add some of the mentioned tools as plugins to your browser, and use it to your advantage.